Deciding to utilize day care for your child is not an easy decision and preparing for the first day at the new caregiver can bring anxiety. As a mom who has used many forms of child care over the years, here are some tips for managing that first day starting at a new day care center with your baby. Plan ahead. Begin looking for locations when you’re pregnant, if this is feasible. Many highly-rated facilities have waiting lists because they may have a perfect location (perhaps near a train station or a university) and they may have a great fee schedule. Visit the location with your partner and even with your child before you make the decision to enroll. You need to feel comfortable leaving your baby in the care of others and this is the best time to trust your “mommy gut.” Do a practice run, leave the room, walk down the hall and see how you and your baby feel. If something doesn’t seem right, ask and if the answer doesn’t seem right – then this is not the right place for you or your baby’s care. Talk about it. Speak with your child about what is going to be happening. Talk with your friends and co-workers about what did or did not work for them with their families. Ask your relatives how they handled the transitions from being home to being in a caregiver’s setting. Talk with your child when you’re at home in a warm, comfortable environment – but also talk about it if you’re at the park and see a group of children playing. Mention things like, “See how much fun they’re having? Maybe they’re all friends from the same day care.” I would frequently see the six-child strollers being pushed at a local ecology site in my town and my younger two sons often asked when they would get to go to “the place with the big strollers.” They saw day care as a fun, positive experience and they wanted to be a part of it. Explain, explain, explain. This might be more for you as the mom, but be very liberal with your explanations to your child about what’s going to be happening when they go to daycare. Explain the routine for how the day will go, explain your plan for getting ready in the mornings and how you will handle pick-ups in the evenings, and explain what your expectations are from the center. Going over these thoughts and feelings before the first day can help to alleviate many of the concerns you and your child may have about starting at a new place. Practice. 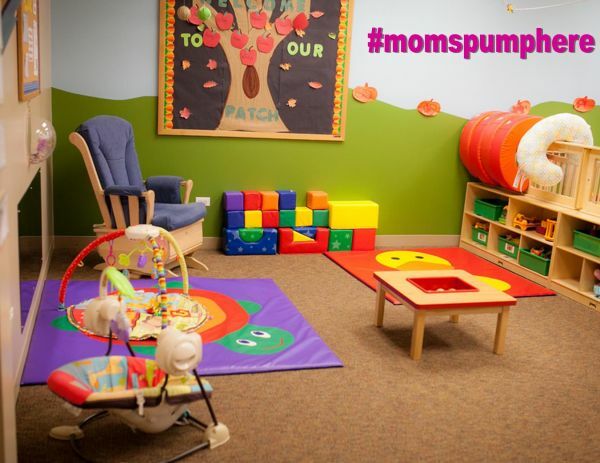 This tip may sound silly, but doing practice runs for daycare can be tremendously helpful as the transition occurs. Practice the drive to the facility, practice getting ready to go to day care, practice waking up earlier in the mornings, and practice packing the bags for both your child and yourself. Be patient - with your child, with your caregiver, and with yourself. Things may not go perfectly the first day, and transitioning to day care can be difficult but with the right amount of patience and understanding, it can be a wonderful experience for your child and for your family. Go Baby! Get Your Baby Gear!